VL Elena 117/4 is another fantastic producing Santa Elena female. She is sired by +VL Rojo Tinto 3/180, the 1995 International Grand Champion Bull. 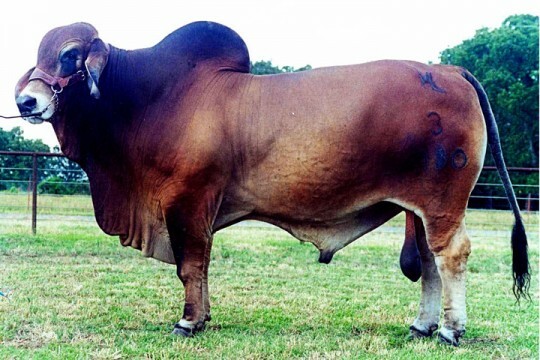 He was a larger framed bull that has produced top females for the ranch. Her dam, + VL Elena 4/136 was one of the ranch’s best donor females during the 1990’s. 117/4 has an outstanding pedigree with more than 10 Register of Renowned descendants. She is also a full sister to VL Elena 165/4 and VL Elena 155/4. VL Elena 155/4 was the 2007 International Grand Champion Female. 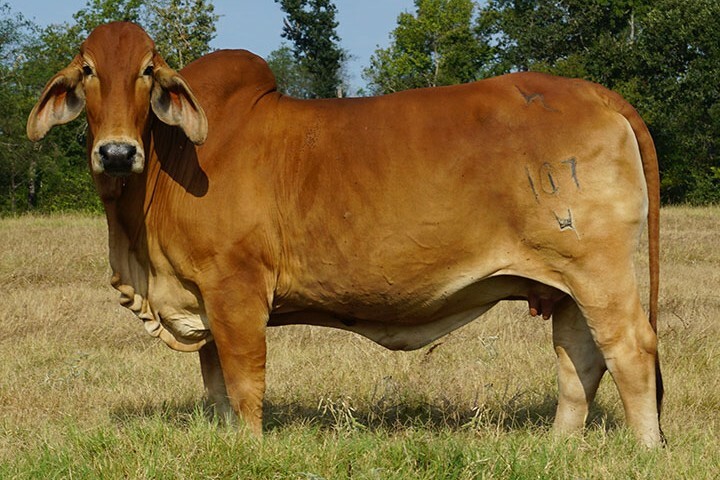 117/4 is a very nice donor that exemplifies length of body, maternal excellence, thickness, style, and excellent American Brahman breed character. This line of females exhibit great fertility and boasts three generations of high egg producing cows.